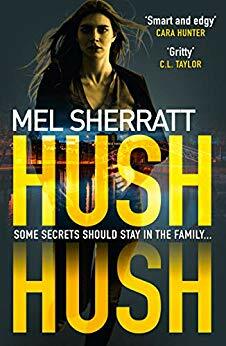 On the book tour for Mel Sherratt’s brand new book called ‘Hush Hush’, enjoy an extract from the chilling tale. Eddie pinched the bridge of his nose. He wanted to punch out, hit the wall, throw the desk across the room, anything to rid himself of the feeling in his chest. He wouldn’t let his grief show in public, not even to his family. But Josh had been his friend since they were young boys and he trusted him more than he ever had any member of his family. ‘What the hell went on here last night?’ he yelled, slapping his hand down on the desk. Jade visibly jumped. ‘Don’t look at me!’ she pouted. ‘Ed, I’m sorry.’ Leon walked round the desk to him and put a hand on his shoulder. ‘Yeah, I’m sure you are.’ Eddie shirked it off. ‘Well, there was never any love lost between the two of you. I also know what’s been going on. Josh told me what you’ve been doing to make more money on the side. I was as pissed off with him getting involved as I am with you. It’s stupid. And would you stop with the snivelling, Jade?’ Eddie snapped. ‘Grace?’ Eddie said, noting his brother had evaded his accusations. His informant at the police station had told him she was back. He hadn’t been too pleased about it at the time, and had hoped their paths wouldn’t cross so soon. He’d wanted to get a handle on her before deciding whether they needed to get her on side, to recruit her to their team. ‘I think she made it perfectly clear she didn’t want anything to do with us.’ Eddie reached for his phone. There were already seven messages waiting for him – news was getting around. You can buy Hush Hush from Amazon and is available to buy from good bookshops. 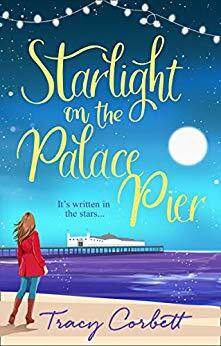 On the book tour for Tracy Corbett’s new book called ‘Starlight On The Palace Pier’, enjoy an extract from the tale. Five minutes of faffing followed as Wanda and Miriam struggled to locate their shoes, put them on and tie the laces. Miriam was dressed in a brightly patterned smock dress, whereas Wanda wore the full dance regalia: Lycra catsuit, leg-warmers and top-of-the-range tap shoes. Nick and Cassie, who looked like they’d just come from work, were dressed in head-to-toe grey. Collectively, it was a sight to behold. Becca was just thinking it couldn’t get any more bizarre, when the doors opened and another woman joined them. ‘Sorry, I’m late,’ she said, hurrying in. She dropped her bag, tripped over it and then dropped it again when she tried to pick it up. And Becca thought dealing with the kids was hard. Four expectant faces stared at her. Mi-Sun ran to join them, tripping up as she did so. ‘Oh, I know this.’ Miriam launched into a demonstration, followed by Wanda, who wasn’t about to be outdone. What with Miriam’s curves and Wanda’s cleavage, there was quite a lot of bouncing going on. The floorboards got a good workout. ‘That’s great, ladies. But let’s break it down for the rest of the class.’ She waited until the floor stopped vibrating. ‘The shuffle is a combination of two basic moves, the brush and the strike. Let’s start with the brush.’ She was met with three concerned expressions and two bored ones. Miriam and Wanda failed to hide their frustration at being made to start from the beginning. Oh, well. Nothing she could do about that. Even with no teacher training she knew she could only go as fast as the slowest person in the group. 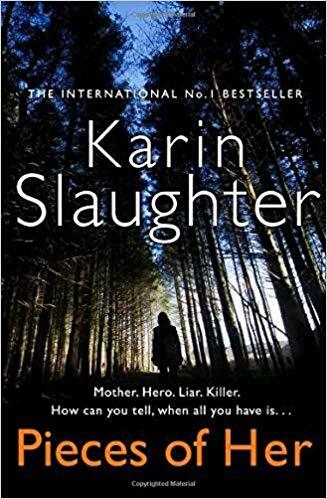 On the book tour for Karin Slaughter’s chilling new book called ‘Pieces Of Her’, sit back and enjoy an extract from the tale. For years, even while she’d loved him, part of her had hated him in that childish way that you hate something you can’t control. He was headstrong, and stupid, and handsome, which gave him cover for a hell of a lot of the mistakes he continually made—the same mistakes, over and over again, because why try new ones when the old ones worked so well in his favor? When she had been with him—and she was decidedly with him during his long fall from grace—they had raged against the system: The group homes. The emergency departments. The loony bin. The mental hospital. The squalor. The staff who neglected their patients. The orderlies who ratcheted tight the straightjackets. The nurses who looked the other way. The doctors who doled out the pills. The urine on the floor. The faeces on the walls. The inmates, the fellow prisoners, taunting, wanting, beating, biting. “Let me speak, darling.” Laura paused. Andy nodded, preparing for a long-awaited lecture. She was officially thirty-one years old today. Her life was stagnating. She had to start making decisions rather than having life make decisions for her. Her mother’s eyes traveled the distance from the top of Andy’s head to her hands, which fluttered nervously back to the table. Dirty brown hair thrown into a careless ponytail. Dark circles under her tired eyes. Nails bitten down to the quick. The bones of her wrists like the promontory of a ship. Her skin, normally pale, had taken on the pallor of hot dog water. The catalog of flaws didn’t even include her work outfit. The navy-blue uniform hung off Andy like a paper sack. The stitched silver badge on her breast pocket was stiff, the Belle Isle palm tree logo surrounded by the words police dispatch division. Like a police officer, but not actually. Like an adult, but not really. Five nights a week, Andy sat in a dark, dank room with four other women answering 911 calls, running license plate and driver’s license checks, and assigning case numbers. Then, around six in the morning, she slinked back to her mother’s house and spent the majority of what should’ve been her waking hours asleep. Andy tried to grunt. She could not make the noise. This was shock. This was fear. This was unfettered terror because the world had suddenly stopped spinning and everything—the failures, the disappointments, the horror of Andy’s New York existence for the last six years—receded like the drawback wave of a tsunami. Things that should’ve never been uncovered were suddenly out in the open. A car horn had blared. Andy had looked up. She was standing statue-like in the middle of a crosswalk. She struggled to move. The phone was hot against her ear. It was past midnight. Sweat rolled down her back and leached from her armpits like melted butter. She could hear the canned laughter of a sitcom, bottles clinking, and an anonymous piercing scream for help, the likes of which she had learned to tune out her first month living in the city. Too much silence on her end of the phone. “Darling?” her mother had said, still patient, still generously nice in the way that her mother was to everyone she met. Her mouth was still hanging open. 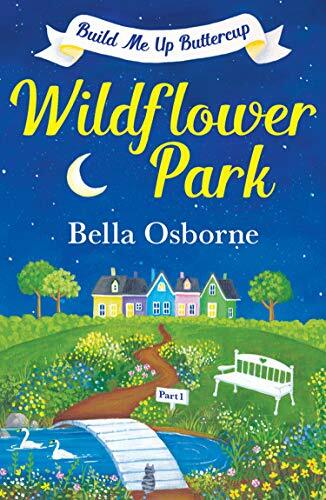 The sewer smell that was endemic to her neighborhood had stuck to the back of her nasal passages like a piece of overcooked spaghetti slapped onto a kitchen cabinet. Another car horn blared. Another woman screamed for help. Another ball of sweat rolled down Andy’s back and pooled in the waistband of her underwear. The elastic was torn where her thumb went when she pulled them down. 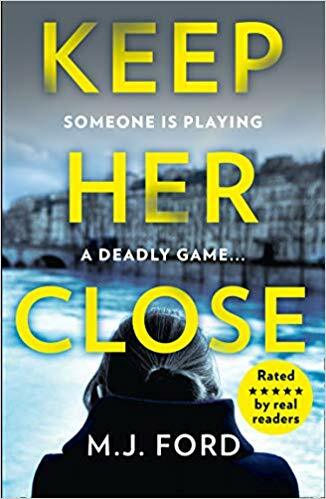 You can buy Pieces of Her from Amazon and is available to buy from good bookshops.